These unique hoops are the perfect balance of casual personality and just the right amount of glam. 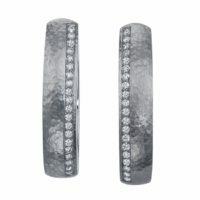 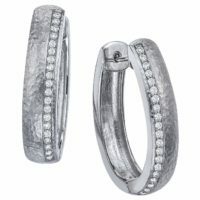 The hand hammered hoops feature a row of round brilliant VS/G-H Diamonds of .42ct total weight. 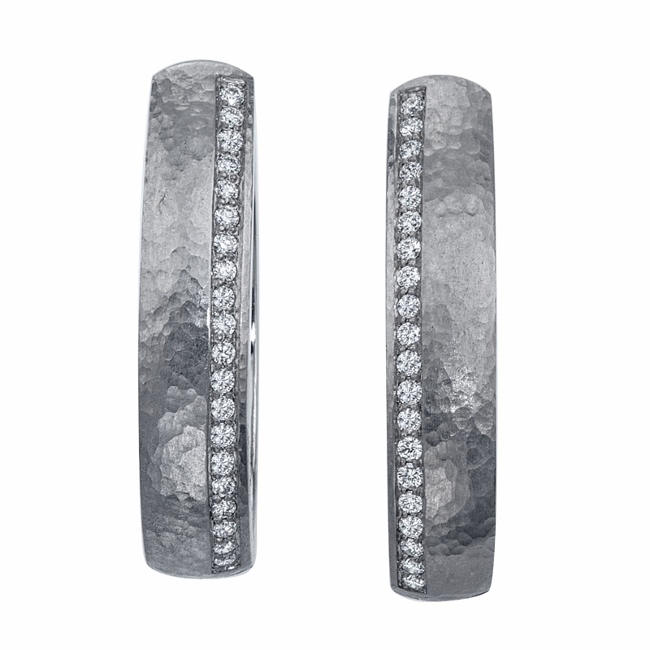 Start your day off sparkling every day with these earrings. 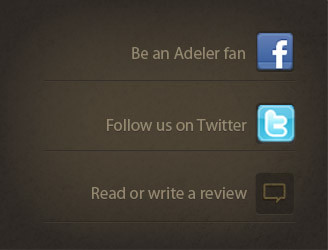 Jorge Adeler signature design.